I almost always have some pork roasts in the freezer. They are mostly used for bbq pulled pork sandwiches, and occasionally for pulled pork tacos. 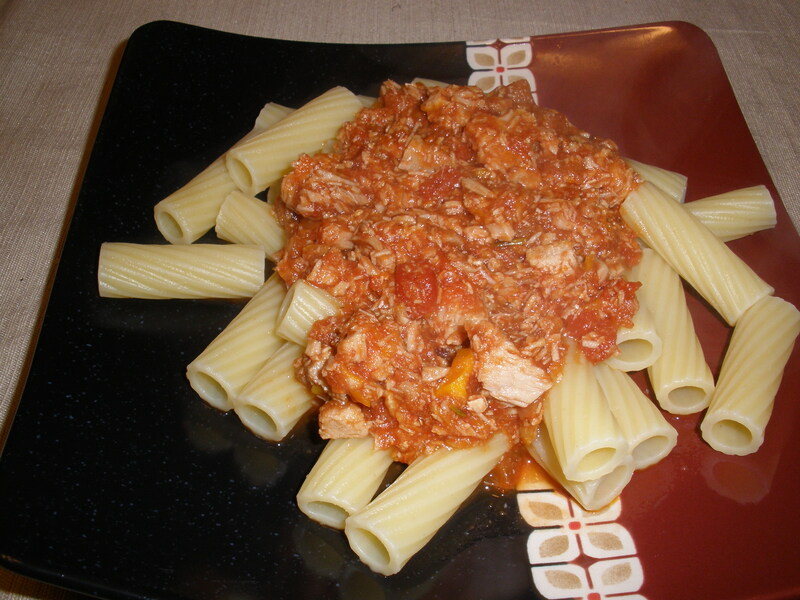 But, I wanted to try something different this time, so I was excited when I came across this recipe for Pork Ragu. I had all the ingredients on hand (plus, it sounded delicious!) so it was perfect. This was a very good meal, but Rick and I both had one small complaint. It was SALTY! I have noticed that I am pretty sensitive to salt, and probably undersalt most of my food, so it’s possible that if you made this at home, you wouldn’t notice anything out of the ordinary. However, for me, I’ll omit adding the extra salt next time. Apparently the pork is salty enough! Aside from that one small issue, though, this was a great dish — it was easy, it made a ton of leftovers, and it used pantry staples. Those are pretty much my three favorite things in a recipe! Place the pork inside your crockpot. Add all other ingredients to the crockpot, stirring as best you can. Cook on low for 8 hours or high for 4-5. At end of cook time, remove bay leaf. Shred the meat, and stir it back into the tomato sauce. Continue cooking on low for another 30 minutes. Serve over your favorite pasta. Enjoy!